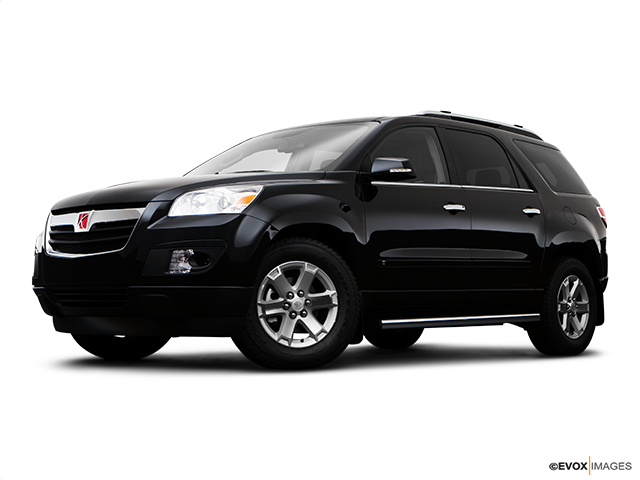 After successfully pulling off the production and sales of vehicles in the mid-size van segment, Saturn wanted to try and bring the same comfort and roominess of the minivan category to SUV lovers. The result of this attempt was the Outlook model, which delivered everything Saturn was hoping for. With its performance and versatility, it quickly reached the tops of popularity charts, especially appealing to families with small kids. Here’s everything you need to know about it. With this model, Saturn tried to preserve a somewhat conservative look of its vehicles. This is by no means a bad thing as the Outlook is truly an attractive vehicle. The Outlook’s silhouette is clean shaped and gives away the impression of a subtly muscular four-wheeler. The most distinctive feature of the car is its emphasis on the wheel arches and the flares which sit just above. The rear of the vehicle resembles a wagon that is vertically stretched. 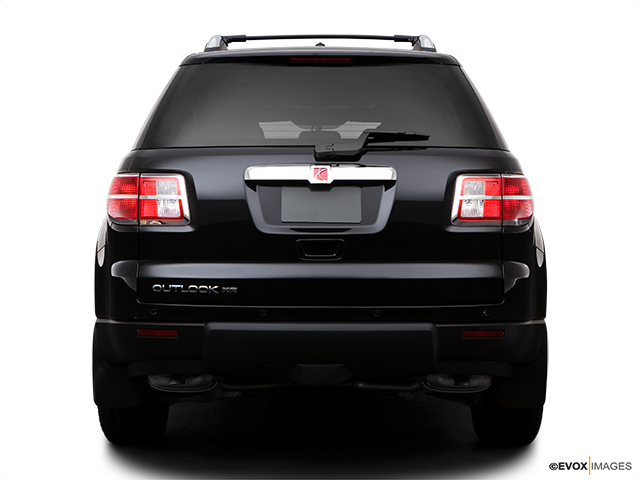 The roof rails give it the impression of a sturdy and solid SUV that overall looks extremely attractive and sporty. The sheer size of the Outlook enables it to be quite roomy on the inside. The cabin is absolutely huge and in the driver’s part of the vehicle, there is plenty of leg room. The centre console is extremely stylish and easy to both read and use. The dash overall is filled with faux maple wood elements that add a pleasant and upscale note to the interior. When it comes to the gauges behind the steering wheel, they keep the traditional Saturn black and white colouring with amber markings. On top of that, the numbers on them are clear and big so that there is no misunderstanding or misreading. The controls on the steering wheel are all comprehensive and easy to use. There are seven seats in total which are arranged in three rows. Between the second and the third row there is enough space that even an adult can access the last row even if there is a child seat installed. The rear seats are foldable, making for a spacious cargo area. The engine in Saturn’s Outlook was built on the extremely reliable GM’s Lambda platform. Moreover, the Outlook also followed the incredibly successful modern crossover formula, boasting a V6 engine to power the wheels. When buying the Outlook, you can choose between front-wheel and all-wheel drive, though the transmission is limited to a six-speed automatic with an option of manual shifting. The reason why Saturn decided not to go with the traditional manual transmission as well as that was unpopular among the targeted audience. Because of the car’s weight and size, Saturn tweaked the engine to put out 271 horsepower, which is more than enough move it from the standstill with a smile on your face. Driving the Outlook can feel like driving a much smaller SUV. It does this by controlling throttle during acceleration. Furthermore, the unibody construction of the chassis makes it feel incredibly solid and stable. Another aspect that contributes to the stability of the ride when driving the Outlook is its independent suspension. With this suspension system, it does not feel bouncy even when the vehicle is put to the test on older and bumpier roads. 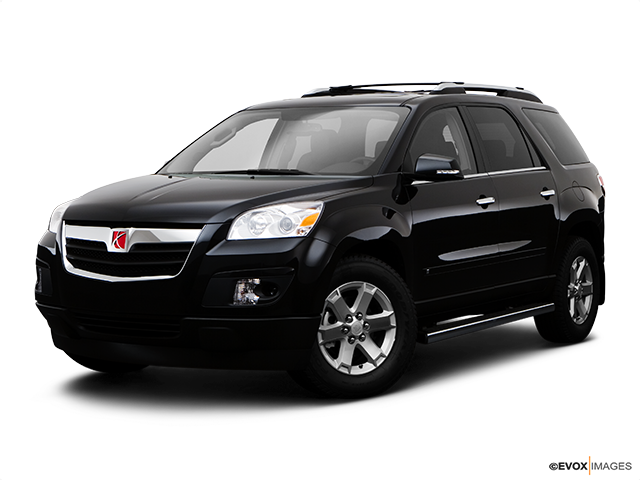 When it comes to the safety of the Saturns Outlook, it is not much different from other family vehicles the company has developed and produced. Outlook is remarkably safe in every aspect. The Insurance Institute for Highway Safety rated it with a “good” mark for all types of collision. The car also earned a five-star rating in all categories from the revered National Highway Traffic Safety Administration. Overall, the Saturn Outlook is a worthy investment if you’re after safety, reliability and subtly designed, yet entertaining family daily-driver.